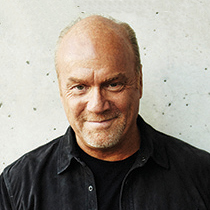 Pastor Greg Laurie reminds us why biblical literacy is so important to the Christian life. Whenever I am invited to speak somewhere, I can discern the biblical IQ of the group I’m addressing in the first few minutes of my message. I observe the way they track, the way they listen, what interests them, and what doesn’t interest them. I note how they will come alive when an illustration is rolled out. But as soon as I get back to the biblical text, they go into a daze, as if to say, Wake me when the next illustration or joke is coming. This is because they have never learned to love the Bible. They have never developed a hunger for it. This is what I want my congregation—and all believers—to have. I want them to love the Word of God. We love worship at our services. We love having various artists coming in and sharing their music with us. We love all the other things we can do. But I believe the main event is the teaching and the preaching of the Word of God. That is what I want believers to care for. Yet tragically, so many people in the church today are biblically illiterate. They don’t have a biblical worldview. I can’t tell you how many times I have gone to a church as a guest speaker and said, “Turn in your Bibles to... ” and no one has a Bible. When I will refer to certain biblical passages or a biblical story, they will look at me with blank expressions. This is not a good sign.